Stefan Bechtel and Laurence Roy Stains. Through a Glass Darkly: Sir Arthur Conan Doyle and the Quest to Solve the Greatest Mystery of All. St Martin’s Press, 2017. Telling the story later, Margery laughingly remarked, ‘what amazing things people are willing to believe in order to avoid believing the things they don’t want to believe’. 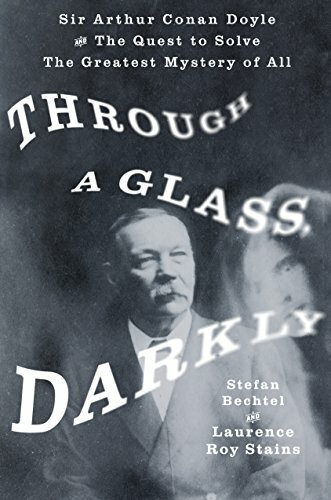 This exceptional book, which is albeit focused on the research of Sherlock creator Arthur Conan Doyle, and is a resolutely objective review of the facts, nevertheless segues into the thinking person’s rebuttal to all those decades of sceptics tying themselves in knots in order not to confront the evidence for certain aspects of the paranormal. And if anyone talks through their ears … although other orifices are available … as we see repeatedly documented in these pages, it has often – if not exclusively - been them. Over the years Spiritualism has fallen out of favour with the mainstream and accrued an unenviable reputation. It doesn’t help that a séance circle with a fake medium intoning ‘Is there anyone there? Two knocks for “no”…’ is the sort of ridiculous cliché scenario so beloved of the lazier sitcom writers, for example. On the whole, the media have ensured that the public view Spiritualism as a joke – and a jaded and outdated one at that. These authors make their own position clear right from the start. Stefan Bechtel and Laurence Roy Stains are journalists – though the latter is also an academic - who, while not being Believers, are not not Believers. 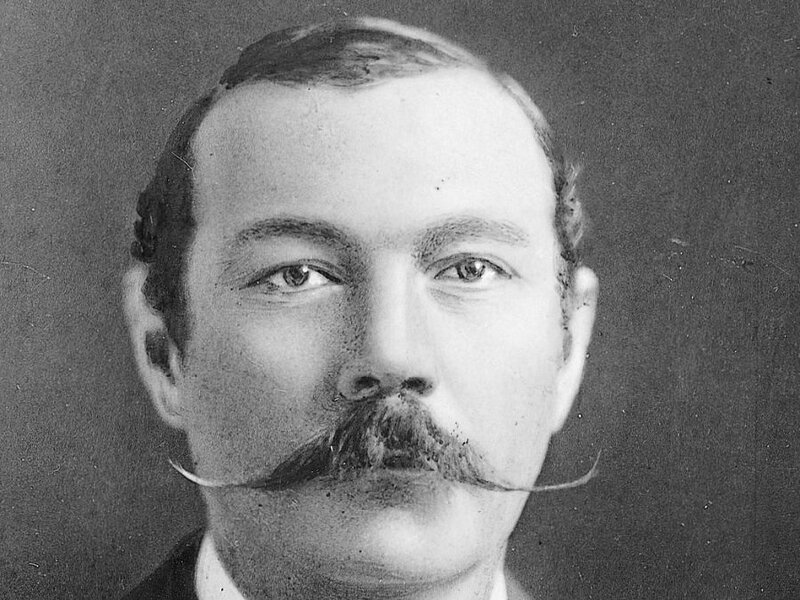 Their admiration for the courage of pioneering investigators into Spiritualism such as Arthur Conan Doyle seems tinged with more than a little indignation at the defamation and infamy heaped on them, both at the time and by subsequent generations. It is interesting, to say the least, what nuances objective research can reveal – as we see later with the Cottingley Fairies. And far from being the ‘credulous old fool’ that sceptics now call later-phase Doyle, the creator of Sherlock Holmes showed extraordinary discernment and even – heaven forfend! – characteristic rationality in his forays into the world of the séance room. This big bear of a Scottish physician, with his aptitude for hard work and his love of Boys’ Own-style adventures – he signed up as ship’s doctor for an incredibly dangerous Arctic voyage when he was still a medical student – had very little about him that was fey or airy-fairy. Whichever way you look at it, however, these eminent scientists really were not the sort of chaps to be taken in by the ‘two knocks for “yes”’ school of mediumship and even the most superior sort of sleight of hand. And neither was Arthur Conan Doyle. It’s usually believed that he became involved in spirit communication (alleged) while demented with grief after the death of his son in 1918. Not so. What moved him so resolutely from – to use his own favourite phrase – ‘the left of negation to the right of acceptance’ was the work of his contemporary, the American medium known simply as ‘Mrs Piper’. 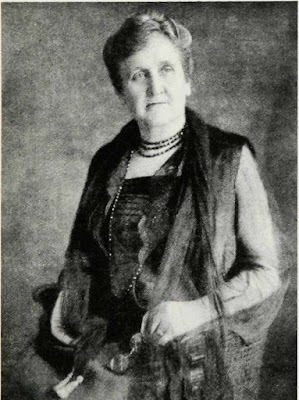 Having made a name for herself as a notable medium, she was fair game for the scourge of the séance room, the Australian sceptic Richard Hodgson – who had exposed Madame Blavatsky’s more dubious practices. He was despatched, covertly, to the US to put her through her paces. She – or rather her ‘spirit control’, speaking, it was believed, through her – gave him a wealth of details about his early life. Yet he had been careful not so much as to give his name. Hodgson was shaken when Mrs Piper said that his late childhood sweetheart had one eye with a spot of light colour in the iris. When Hodgson asked how she knew this, the answer was simple: his long-gone sweetheart was standing right there, and the spirit control could see her eyes for himself. But things were about to get a whole lot more intriguing – even, in their own way, sensational. A new spirit ‘came through’, one George Pellew, who had died very recently in a riding accident and who had met Hodgson once, promising him that if he died first and was ‘still existing’ he would get in touch. And apparently he did, and such was the effect that his astonishingly detailed communications had on the arch-sceptic Hodgson, that he ceased to be ‘a very Saul persecuting the Christians’. And it didn’t end there. In a nice irony, it appears that after Hodgson himself dropped dead, he began to ‘come through’, giving evidential information such as he had once demanded. Sadly, as with all the most fascinating material here, space dictates that I can only allude to it (actually the ‘Hodgson’ communications are only a part of the so-called ‘Cross Correspondences’, arguably the most persuasive, complex and detailed evidence for survival of human consciousness after death ever recorded). All of this, plus much, much else served to convince Doyle that at the very least there was something worth investigating. What clinches it for most critics of latter-phase Doyle is his involvement with the so-called ‘Cottingley Fairies’, photographs taken by two Yorkshire girls in the early 20th century allegedly showing frolicking fairies (and one gnome) by a stream near their house. Doyle endorsed the photographs with near-indecent enthusiasm, almost certainly arising from – as Bechtel and Stains sagaciously muse – a desire to validate the fairy visions of his father, who had died in a mental institution. Certainly, the overwhelming pro-fairy advocacy of the creator of Sherlock Holmes proved jaw-dropping to the father of one of the Cottingley girls, who remarked incredulously about him being ‘fooled’ by ‘our Elsie, and her bottom of her class’! Yes, by anyone’s standards, the Cottingley Fairies were not Doyle’s finest hour. But at this point I must add a personal note. In the early 1980s I was Deputy Editor of the now-iconic publication The Unexplained, and in that capacity was the second person ever to hear the recorded confession of Frances, who sixty years before, together with her cousin, had fooled the creator of Sherlock at Cottingley. Yes, the old lady chortled, they’d done it. It was easy. Cut-outs from magazines held up in the grass with hatpins. But then she said, matter-of-factly, that the reason they’d faked them was because they had tried over and over to capture the fairies they saw all the time and failed. But one of the pictures was real… Of course she could have been having a last laugh, but it’s interesting that she also mentioned that she still occasionally saw them – and her voice echoed a real horror. The ‘fake’ fairies had always been real – to her and her cousin. And to Doyle, of course. Throughout Doyle’s three decades of spiritualist adventures, it is worth remembering the famous lines uttered by the rapier-sharp Sherlock: ‘… when you have eliminated the impossible, whatever remains, however improbable, must be the truth…’ Sherlock might have been Doyle’s fictitious alter ego, but of course they shared a mindset. Doyle was never interested in the impossible – why waste his precious time? – but he was prepared to devote his best years to the improbable that might or might not reveal itself to be the truth. And with his unquenchable spirit of adventure, it seems he was often nearer to it than most. Did the deceased Doyle himself ever apparently ‘come through’? Of course he did, it is reported. In fact, ‘Doyle’ passed on his thoughts via a medium to the famous ghosthunter Harry Price. In the quotation that Bechtel and Stains choose to end their book, ‘Doyle’ said, ‘It is far more difficult to establish a fact than it is to advertise an illusion’. The authors add only one word: ‘Quite’. Someone’s memory is playing tricks on them here, although I’m not sure whose it is. Lynn’s remark that Frances was still seeing fairies in the 1980s doesn’t jibe with what Frances told me (if memory serves, within a year of the confessions being published)—which was that the last time she saw fairies was in 1946. She put this down to the end of the war and her husband being home safe. I don’t, either, recall Frances’s alleged persistence in seeing fairies in the present being mentioned in the plush expanse of our office. One might expect such chatter, given our interest in the case and Joe Cooper’s keenness to keep us up to date on his attempts to get to the bottom of it. But that could easily be a failure of my memory. Unfortunately I don’t have Joe Cooper’s book on the Cottingley affair to hand to see what, if anything, he had to say about this. P’r’aps someone else could look it up?